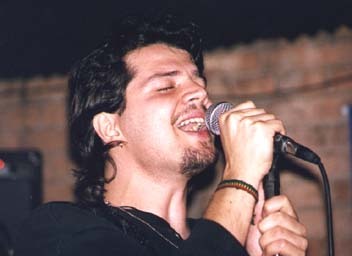 Started his singing studies at the age of fourteen at Conservatório Souza Lima in São Paulo, and later in 1992, graduated in vocal techinique at Faculdade Marcelo Tupinamba (also in São Paulo). He has sung in many night clubs in São Paulo, as well as in theater plays such as in the rock opera "Jesus Christ Superstar", in with he had a leading role. Between the years of 1994 and 1996 he recorded two CD's with the progressive rock band "NAVE".